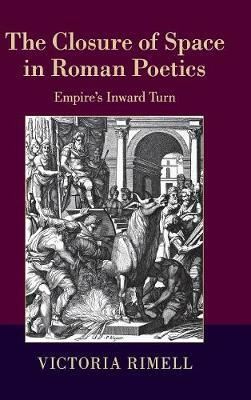 This ambitious book investigates a major yet underexplored nexus of themes in Roman cultural history: the evolving tropes of enclosure, retreat and compressed space within an expanding, potentially borderless empire. In Roman writers' exploration of real and symbolic enclosures - caves, corners, villas, bathhouses, the 'prison' of the human body itself - we see the aesthetic, philosophical and political intersecting in fascinating ways, as the machine of empire is recast in tighter and tighter shapes. Victoria Rimell brings ideas and methods from literary theory, cultural studies and philosophy to bear on an extraordinary range of ancient texts rarely studied in juxtaposition, from Horace's Odes, Virgil's Aeneid and Ovid's Ibis, to Seneca's Letters, Statius' Achilleid and Tacitus' Annals. A series of epilogues puts these texts in conceptual dialogue with our own contemporary art world, and emphasizes the role Rome's imagination has played in the history of Western thinking about space, security and dwelling.